You may have a personal injury case if you have suffered some type of injury due to the negligent or intentional act of another. Damages are awards, typically money, that are paid to the victim and can be economic losses such as medical expenses, lost wages, and property damage, or non-economic such as pain and suffering and emotional distress. While each personal injury case will be different, in general, they are all predicated on determining whether the defendant was at fault and whether those actions resulted in your injuries. So, the most important question to ask in these types of situations is how do you win a personal injury case? Your first priority is to seek professional medical treatment if you’ve been injured in any way due to the negligence or wrongdoing of another. Make sure that you keep all documents and medical records relating to the treatment of your injuries. They are the key to establishing the severity and extent of your injuries which is absolutely necessary in order determine the amount of compensation due to you. To protect your rights and be fairly compensated for economic as well as non-economic losses, the next step would be to contact an experienced personal injury attorney within the legal time limits established for such lawsuits. Gregory Yates and Michael Shubeck of Rapid City Attorneys are considered to be some of the top PI lawyers in South Dakota, winning cases for their clients through settlements, awards, and jury verdicts. Different types of personal injury cases include car accidents, slip-and-fall cases, medical malpractice, product defects,and intentional acts such as assault and battery as well as defamation. Filing personal injury insurance claims are one option for getting compensation for your injuries and other losses. This involves negotiated settlements between you, your attorney, the insurance companies involved and opposing counsel. The majority of personal injury cases are resolved in this manner. In cases involving serious injuries your attorney may recommend filing a lawsuit based on the strength of your case if he or she feels that the settlement proposed by the insurance company is less than adequate to compensate you for your injuries and losses. The keys to proving negligence and building a solid personal injury case are collecting evidence, documenting your medical treatment, and gathering any witnesses to the accident or incident. Take pictures of the scene of the accident, your injuries, and any property damage. Record the dates and times that the pictures were taken. Keep notes regarding the accident or incident, recording every detail that you can recall. Make sure that you keep a record of any correspondence — e-mails, text and phone messages, letters — that you receive regarding the incident. If there were witnesses to the accident or incident, make sure that their statements are taken and that you have copies. 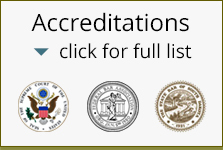 If you require legal assistance for a PI case, the Rapid City Personal Injury Law Firm of Greg Yates and Michael has a proven track record for getting fair and equitable awards for their clients. Contact our office to schedule your free consultation.